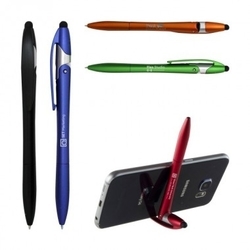 Plastic matte metallic slim stylus pen with tech stand. Features twist mechanism and medium point black refill. 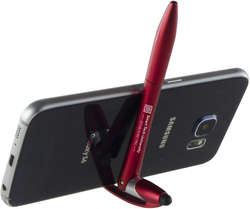 Plastic matte metallic slim stylus pen with tech stand. Features twist mechanism and medium point black refill. Actual size 5-1/2”. Individually polybagged.